Everywhere scientists have looked on Earth, they have found signs of life. They’ve looked in the deepest oceans and the driest deserts, and in every case, life—in some form or another—was flourishing. But Kelly Wrighton and Mike Wilkins aren’t satisfied that the search is over, so they’re looking for life in a place more extreme than ever before. Which is why the married couple, both assistant professors of microbiology at Ohio State University, are at a new fracking well being drilled just outside Morgantown, West Virginia. 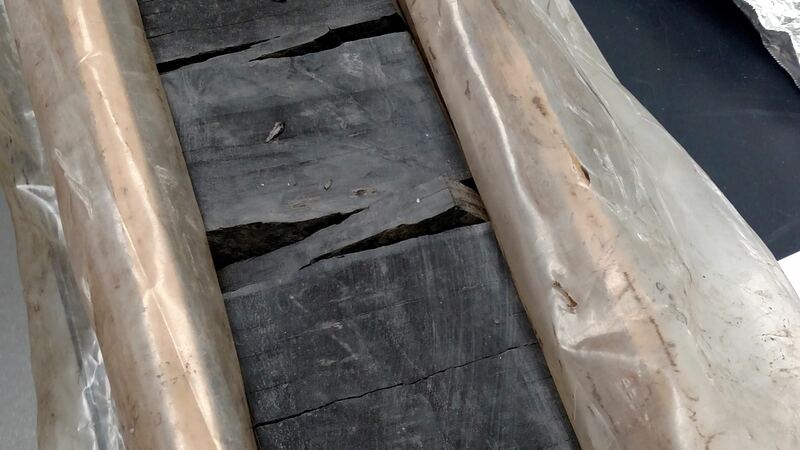 Before Northeast Natural Energy can send down fluid to fracture the Marcellus Shales, buried more than 1.5 miles below the surface for 400 million years, Wrighton, Wilkins, and a team of scientists will be collecting rock samples hauled up from the deep. 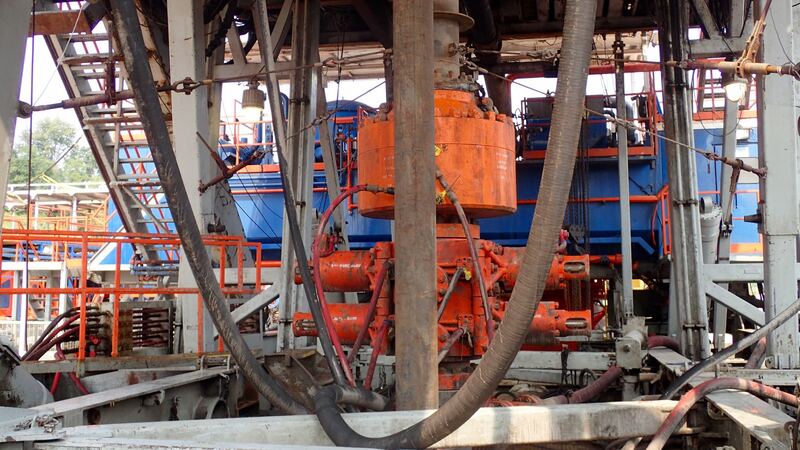 A closeup of the drill at the Morgantown site. Unlike previous samples, which were collected after the well had been fracked first and thus contaminated, these samples will be pristine. It will give the microbiologists their best shot to find signs of microbial life. Wrighton and Wilkins have spent their burgeoning careers studying the microbes dozens, even thousands of feet beneath the surface of the Earth. Such deep subsurface microbes have to contend with high temperatures, in some areas well above the boiling point of water. 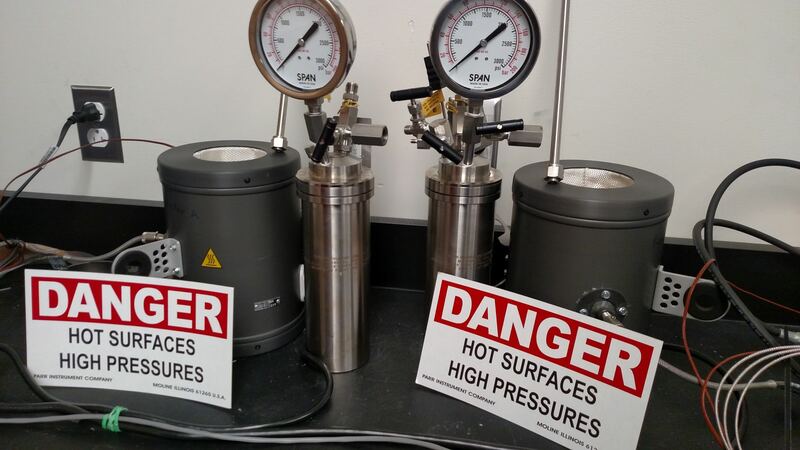 They also have to manage extremely high pressures and high concentrations of salt. Perhaps the most difficult task is finding energy. Cut off from solar energy, subsurface bacteria had to rely on chemical reactions or sinks of oil and natural gas to make their living. Signing on to the Morgantown project almost two years ago was a huge gamble, since no one knows whether life can survive in such an extreme environment. Wrighton and Wilkins used the expertise they had gathered in studying subsurface microbes as grad students and postdocs, and then spent more than a year working on the project full-time before the first samples could even be collected. Whatever they find, they hope to shed light on one of science’s big questions: Just how extreme can life get? Their answers could reveal the limits of life, the conditions beyond which living things just couldn’t hack it. It could also tell us more about how life might have first evolved and where else it could be found in the universe. “There’s an enormous reservoir of undiscovered life that’s really hard to get to,” Wilkins says. The study of microbes living in extreme environments—so-called extremophiles—is relatively new. In 1969, Indiana University bacteriologist Thomas Brock and his student Hudson Freeze traveled to Yellowstone National Park to search for bacteria living in the park’s hot springs. To many, the expedition seemed like little more than tilting at windmills. Any bacteria living in the hot springs would have to survive at temperatures greater than 158° Fahrenheit, a point at which most living things would be cooked. But when they sampled some pink muck from Mushroom Spring, just a few miles north of Old Faithful, Brock and Freeze found it teeming with life. Among scientists, their discovery of Thermus aquaticus is now more famous for its facilitation of the polymerase chain reaction, used in labs around the world for amplifying DNA. But in the 1960s and 1970s, Brock’s discovery showed the scientific community that bacteria could survive in environments far more extreme than anyone thought. 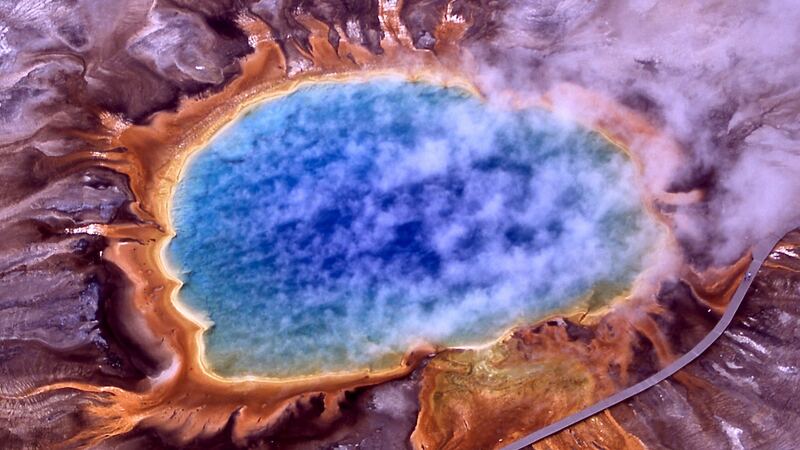 Extremophiles give Grand Prismatic Spring in Yellowstone National Park its vivid colors. “Bacteria are able to grow…at any temperature at which there is liquid water, even in pools which are above the boiling point,” Brock wrote in a 1967 Science paper. The discovery that microbes could live in environments far more extreme than anyone suspected opened a wide range of habitats to microbial exploration. While some scientists explored the frigid, windswept deserts of Antarctica, others, like Bo Barker Jørgensen and Karsten Pedersen, geomicrobiologists at Aarhus University in Denmark and Chalmers University of Technology in Sweden, respectively, began taking advantage of burgeoning surveys of marine life. Part of these surveys included sampling sediments at the bottom of the ocean or deep underground, which Jørgensen, Pedersen, and others found teeming with life. “It took a decade to accept that life was actually that deep,” Pedersen says. These first studies, in the mid-1980s, showed that deep subsurface life can exist. Still, despite decades of work on the subject, there’s no formal definition of what “deep” really means, says Tori Hoehler, an astrobiologist at NASA’s Ames Science Center. Without the large-scale drilling projects used to study deep subsurface marine life, microbiologists like Tullis Onstott of Princeton University had to access the deep via existing digs. In 1996, Onstott began focusing on gold mines in South Africa, then as now some of the deepest mines in the world, with some nearly 2.5 miles below the surface. They are hot, dark, filthy places, and the working conditions are often deadly for miners. But for some microbes, this miners’ hell is pretty close to heaven. The first microbe Onstott found from his gold mine expeditions was related to Firmicutes, a type of microbe typically found in boiling hot springs, like those found in Yellowstone. This initial success enabled more trips back to the hellish environment found in the South African mines. In a 2006 Science paper, Onstott and colleagues published the discovery of a bacterial community living in a gold mind water reservoir 1.74 miles below the ground. The basalt surrounding the reservoir also contained large amounts of uranium, which made the rocks highly radioactive. The radioactivity split water molecules into oxygen and, more importantly, the hydrogen gas that the microbes used for food. “They gobble hydrogen up like potato chips,” Onstott says. Onstott has no idea how long the microbes have been down there, though he doubts they have been present since the rock was buried several billion years ago. The geological processes that molded and shaped the rock since their formation would have created temperatures and pressures high enough to kill any microbes that are native to those depths. Even so, Onstott believes that the microbes were able to survive on radioactivity for potentially millions of years. “It’s incredible how far down you can go and still detect life,” Wilkins says. Surviving for any length of time in such a stressful environment isn’t easy. The extreme heat of many of these locales can cause proteins to misfold, turning what are similar to beautiful pieces of origami into useless crumpled heaps of scrap paper. DNA also requires more maintenance down deep, as does the cellular membrane. “A bacterium has to be very metabolically active to keep its sh– together, or rather, keep its sh– inside the cell,” Onstott says. Keeping the cell in proper working order when under stress requires lots of energy, which can be hard to find even in the best of circumstances—and life in an underground vat of sizzling radioactive water most definitely is not. Mike Wilkins uses pressure chambers to encourage bacteria from deep underground to grow. In 2003, scientists discovered what remains the known upper temperature limit of life. A team from the University of Massachusetts, Amherst found strain 121, a microbe living in a deep sea vent off Puget Sound dividing, albeit slowly, at 121° Celsius, or 250˚ F.
Lab experiments to define these limits have been difficult, as Thermus aquaticus routinely grows at temperatures above 90° Celsius in Yellowstone, but hasn’t been coaxed to grow in the lab above a temperature of around 80° Celsius. Still, to get life to grow at its hottest extreme, all other conditions have to be optimal. In life living deep below ground, those conditions are typically far from ideal, which means the upper temperature limit is likely much lower, although no one currently knows what that might be. One result of this high-stress, low-energy environment is that many of the microbes found far below ground divide much less frequently. The famous bacterium Escherichia coli can divide in less than 20 minutes in nutrient-rich growth media. Onstott believes that some of the microbes he has found in the South African gold mines might have doubling times in the decades, centuries, or even millennia. As a result, their numbers are likely going to be much lower than microbes found on the surface, simply because they can’t reproduce as quickly. Give them the right food, however, and all of that might change. Wrighton began her study of subsurface life by sampling the microbes found in a well that had already been fracked. In the process of fracking, energy companies typically flush the wells with hydrocarbon-rich liquids, both to get the natural gas out and to prevent microbes from corroding the pipes. But no fracking well can be sterilized completely. Microbes from the surface often make their way below ground, and frequently in very large numbers. For some bacteria, fracking fluids are an all-you-can-eat buffet. Wrighton wanted to know how these different communities of microbes lived together and how any deep subsurface life might affect microbial contaminants and vice versa. She was also curious about how the microbes made a living and what enzymes and genes were necessary to carry out basic functions. This, in turn, could provide a lot of information about how microbes interacted with each other to create rich, diverse communities. 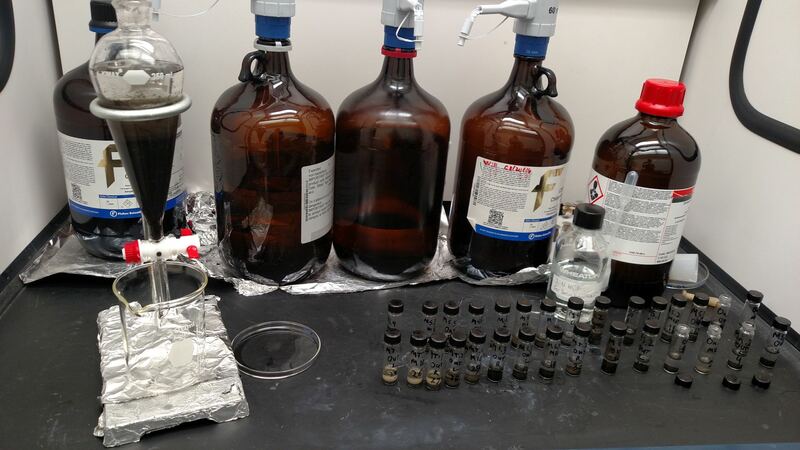 Microbiologists pulverized the shale samples to extract any chemicals that might suggest there’s life trapped inside. Her first glimpse at the microbial life in fracked wells led her to an even more fundamental question: Was anything down there in the first place? Wrighton’s instincts as a microbiologist told her yes, especially since scientists had found signs of life essentially everywhere else on Earth that they had looked. She began focusing her attention on the Marcellus Shale in Appalachia where an NSF-funded study would drill deep into the rock to obtain samples that Wrighton, Wilkins, and other researchers would have the opportunity to study. Since the shale was rich with seams of natural gas and other hydrocarbons, the microbes should have plenty to eat, she suspected. And the shale’s depth, at more than a mile, meant that it was deep enough to be completely isolated from the surface world but still accessible by drilling. Even more importantly, the site was pristine. It had never been previously drilled or fracked. This meant that if Wrighton could somehow account for any introduced contaminants, whatever other microbes she found were almost certainly native to the deep shales. To look for them, she teamed up with Wilkins and geologist Shikha Sharma from West Virginia University. The team would take a three-pronged approach: They would look for the chemical signs of life, seek out any microbial genetic material, and try to directly culture any microbes found. “We want to try and identify the chemical, physical, and biological factors that constrain life and try to formulate a recipe for what makes life possible,” Wrighton says. Together, they knew that if life could be found in the Marcellus shales, they would find it. The trio spent more than a year running mock experiments and honing their techniques to prepare for the arrival of their samples. After a series of delays, they finally got word that their samples would be drilled in early September. You could hear the drill site long before you saw it. Nestled into a hillside outside of Morgantown and overlooking an old World War II munitions factory, a heavily rutted dirt road led up to a drill rig, a large blue metallic cylinder that rose for more than three stories from the rock below. The drill bit was more than a mile and a half below the surface, a distance long enough to hold nearly six Empire State Buildings placed end to end. Rebecca Daly, Wrighton’s lab manager, had gotten used to the din after spending several days at the site in preparation for the drilling that would yield her samples. Daly might have gotten used to the racket, but the oppressive late summer heat was something else entirely. Sweat streamed down her neck, soaking her long, blond ponytail. 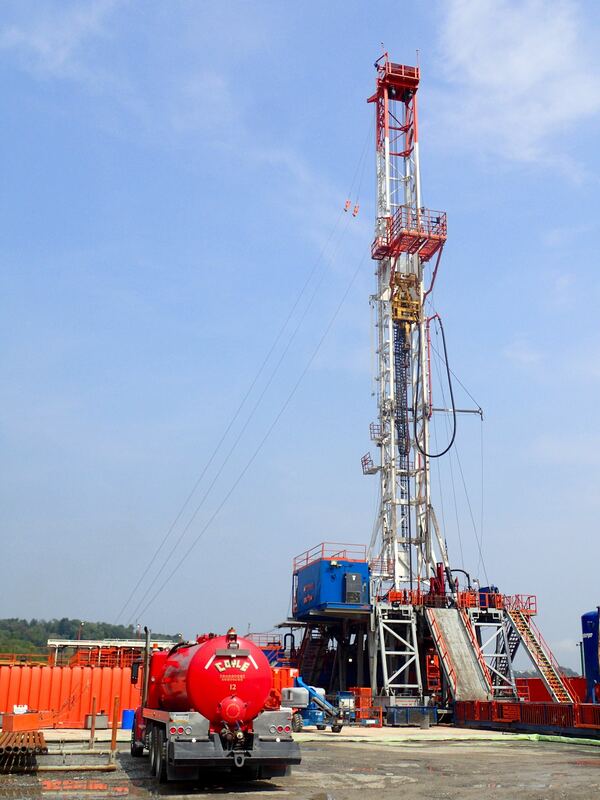 The drilling rig bores deep into the Earth to retrieve shale samples for microbiologists to study. Daly and Sharma had been up most of the night before, poring over geological data to identify the sites that would be most likely to hold signs of life. Formed more than 400 million years ago in the Devonian era, before dinosaurs roamed the Earth, the Marcellus shales are a tough place to survive. The shale is hot and salty, and it has relatively small amounts of two of the things microbes need the most to eke out a living: water and living space. But work by other geologists had shown that other shales had microfractures just big enough to provide a nice home to some bacteria. The team was also interested in the interface between the Marcellus shales and the rocks immediately above and below. “We think these will be the hot spots for life. There’s enough space for the microbes to grow, and they have the hydrocarbons that have diffused out of the shale that they can use for energy,” Wilkins says. Sharma’s analysis of the geology beneath Morgantown identified more than 50 different areas likely to yield good results, including places that contained water and organic carbon that the microbes could use for food. Before Northeast Natural Energy started drilling, the researchers dropped small fluorescent beads down the drill shaft that would allow them to identify areas on the samples potentially contaminated by surface material. Since these bacteria were apt to be more numerous and swamp any signals from native deep subsurface life, Wrighton and Wilkins needed to remove as much contamination as humanly possible. Drilling for their samples began on Friday morning and lasted for nearly 36 hours. As the sun climbed in the sky on Saturday morning, Daly’s heart began hammering. The last time these rocks had felt the warmth of the sun or the stirring air of a cool breeze, the first trees had just emerged, as had the first four-legged animals. After seemingly endless hours of waiting, Daly’s samples were ready. Handling the dark gray tiles that were roughly the size of a large palm and using a pair of latex gloves, Daly gently cleaned the tiles in a bath of salt water before placing them in a special storage container that removed all oxygen (although oxygen is necessary for us, it’s toxic to many subsurface microbes). Stacked in her car, it looked like Daly was transporting tiles to use in a kitchen or bathroom remodel, their slightly rough surface giving them a rustic feel. Then, she placed the boxes in the trunk of her car before racing back to Columbus along I-70. Wrighton, Wilkins, and Sharma had their samples, but it was anyone’s guess as to what they might find. When European explorers first set foot on new ground, they planted a flag to show that they had been there. Microbes do something similar, if you know what to look for, Sharma says. Microbes signal not with flags but with subtle chemical changes. Sharma began her career as a geologist while a university student in her native India. She was initially drawn not to rocks, but to the fact that the geologists “had the best field trips,” she says. Over the years, her scientific interests transitioned to include the chemical signatures of life that can be found in rocks. Just as humans leave signs of our presence by the strands of hair on the bathroom floor and the coat draped over the handrail, microbes, too, have their own way of saying “Kilroy was here.” These types of microbial graffiti are found in the chemical signatures on the rocks. Key to those signatures is carbon, the building block of life on this planet. All carbon has six protons in its nucleus, and most carbon is carbon-12, with six protons and six neutrons, but tiny amounts of carbon-13 and -14, with seven and eight neutrons, respectively, also exist. For reasons that aren’t entirely clear, living organisms prefer carbon-12 to carbon-13 and carbon-14. This preference means that rocks that ever contained life have relatively more carbon-13 and carbon-14 than rocks that didn’t, since microbes would have consumed more of the carbon-12. Although Sharma hasn’t ever looked for signatures of life in as extreme an environment as the current project, she has found signs in deep underground reservoirs, around 1.4 miles beneath the surface. DNA fingerprinting revealed a type of microbe known as a methanogen, which gives off methane as a by-product of metabolism much as humans exhale carbon dioxide. The reservoirs weren’t pristine, and there was no way to know whether these microbes were surface contaminants, but her results nonetheless revealed something important. “Even if they are contaminants, they are still active more than 7,800 feet below,” Sharma says. Sharma’s isotope fingerprinting can also determine whether these microbes are currently active or whether they’re merely a signature of life that was once there. Dead microbes, for example, leave traces of diglyceride fatty acids (DGFAs) as the fats in their cell wall decompose. These signatures can provide clues about which microbes are present, but not with the kind of detail that scientists need. This is where Wrighton comes in. Her expertise is in sequencing microbes that are present at very low levels. DNA degrades rapidly, which can make it harder to find than Sharma’s chemical signatures, but it also provides much more information about the microbial communities within. “We can create a metabolic blueprint about what these microbes are doing and how they’re living without having to touch a single Petri dish,” Wrighton says. To get at the DNA, Wrighton and her team of graduate students are grinding up the rock samples by hand, using a large, strong mortar and pestle. “It sounds like a giant construction zone. I’m pretty sure we’re the least popular lab in the building right now,” Wrighton says, laughing. They will then soak the rock in chemicals to extract any DNA. Her lab’s expertise combined with improved genetic sequencing technology should tease out the sequence of even a single bacterium. Wilkins, for his part, will be trying to coax these hard-to-grow microbes in the lab. Any microbes he finds will be fed a diet of ground up rock and be grown in the equivalent of a pressure cooker, to make the microbes feel right at home. Raising them in large numbers can tell Wilkins more about how they live and what they are like. Although they’ve had their samples for more than a month, even the most preliminary data answering the biggest question of all, is there any life down there, is still several months out. Wrighton remains optimistic that the shales or the layers immediately above and below will yield signs of life, “but we’re preparing for not finding anything,” she says.